MATTHEW IS ALRIGHT ALRIGHT ALRIGHT…. Things have been pretty extraordinary for Matthew McConaughey over the last few years. For the first half of his career, Matthew was drowning in a sea of cheesy B-films and romantic comedies that typecast him in roles that earned him a reputation for one of Hollywood’s biggest stereotypes. Then something happened. Matthew started reaching a little further for scripts that went against the grain. It all began in 2011 when he starred as a menacing bounty hunter in “Killer Joe”. It was in that role where Matthew etched his name in stone for being an extremely underrated and versatile actor. 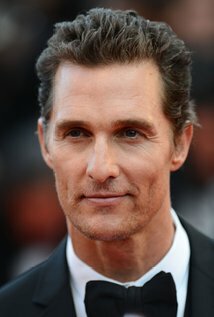 Over the next few years, McConaughey would earn an Emmy nomination for a total 360 performance in HBO’s “True Detective”, a leading man tour de force in Christopher Nolan’s “Interstellar”, and a much-deserved Oscar win for “Dallas Buyers Club”. The beautiful statement with all of these roles is Matthew is constantly adding to a filmography that has etched his name as one of the most demanded actors in the world. Opening in local Akron theaters on August 19th, Matthew will lend his vocal abilities to Laika Productions newest feature film, “Kubo and the Two Strings”, an epic adventure about a kindhearted boy who summons a mythical spirit from his past. Matthew will join fellow Hollywood heavyweights like Charlize Theron, Ralph Fiennes and Rooney Mara for the animated feature that will resonated with the whole family. It is the first time that Matthew will star in an animated featurette, proving McConaughey’s ability to adapt to changing situation in his career. 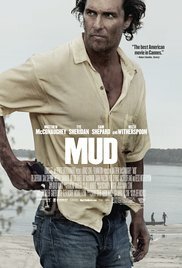 One film that captures all of these sides in one, and really opened the eyes of those in the independent film world is Matthew’s title role in “Mud”; the winner of the Robert Altman award at the 29th Annual Independent Spirit Awards. Also a film that currently holds a 98% of Rotten Tomatoes. Jeff Nichols writes and directs this modern day coming-of-age story about friendship, perception, and trust. In Arkansas, 14-year-old Ellis (Tye Sheridan) lives in a boat house with his mother Mary Lee (Sarah Paulson) and his father Senior (Ray McKinnon). Ellis helps his father by selling fish with his best friend Neckbone (Jacob Lofland). Ellis and Neckbone find a motorboat stranded on the top of a tree in an island on the Mississippi River after a flood and they plan to fix the boat for excitement. One day, they climb the tree and they find fresh food inside the boat, meaning that someone is living in “their” boat. They leave the place and meet a man named Mud (McConaughey) near their boat. Soon they learn that the passionate Mud killed a man that had beaten up his girlfriend Juniper (Reese Witherspoon) and now the father and the brother of the deceased man are hunting him down. Mud makes a deal with Ellis and Neckbone that will help him to reunite with Juniper. But when Ellis meets Mud’s stepfather Tom (Sam Shepard), he has a different opinion about the love of Juniper with Mud, and the real motivations of this mysterious stranger. “Mud” takes on plenty of central themes, but the most important aspect is the innocence of a child being corrupted in this adult world. For the entirety of the movie, Nichols narrates by way of these adolescent boys through our very own eyes, and it creates a real moral dilemma in the judgement of each character we come across. The boys view love as a fairytale they have waited their whole lives for, but get a different taste of it when they are up close. Nichols tackles effortlessly the kind of boredom and naivity that comes with being a teenager, and the importance of a life changing event coming along. The script does start a little slow, but the real meat of the material happens during the second act where the wicks are lit for the firework finale that sets the creative roof on fire. Nichols definitely had a “Huckleberry Finn” influence when writing the characters, as the character of Tom Blankenship is based on the real life motivation for the Finn character. Beyond this, there’s so many traits in the friendship of Ellis and Neckbone that resembles the very outline of Tom Sawyer and Mr. Finn. These are two kids who only understand each other. The rest of the world simply doesn’t view them as productive members of society, so they seek a lot of comfort in one another. This gives the script a real heartwarming aspect, while playing against the kinds of mournful sorrow that floats around them like a poisonous cloud. Leaps and bounds above the rest however, is a breakthrough performance by McConaughey that re-launched his career into a completely different direction. Mud is a ticking time bomb that keeps building more and more to an emotional explosion that levels everything within a mile radius of him. In the character of Mud, he isn’t admirable or even trustworthy, but there’s that X-factor in Matthew’s performance that makes the two hour investment a validated one, complete with a silent sorrow for a man who has lost so much. Matthew has never been this coherent when it comes to his characters emotions, and Mud is a welcome breath of fresh air for a man who wears his love for attention to detail on his chest. Come for the kind of atmospheric tension that Nichols has perfected with precise execution, but stay for McConaughey’s wild card responses that play a vital part in so many character’s lives. This film packs plenty of surprises along the way in character development, as well as the constantly changing web of inevitable consequences that surround them. There’s certainly no sticks in this “Mud”.